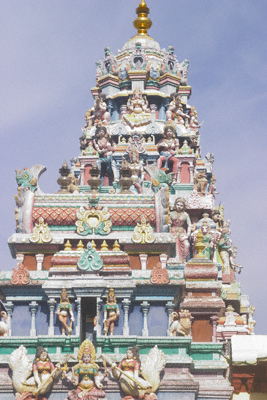 Sri Mariamman Hindu temple in Georgetown's Little India on Penang Island. 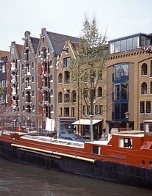 Old and new buildings alongside a canal in Amsterdam. 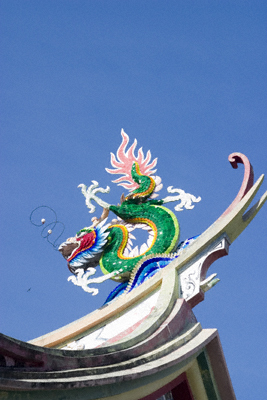 A brightly coloured Chinese dragon on a rooftop in Penang against a clear blue sky. 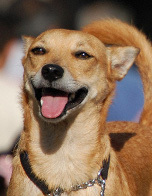 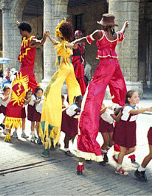 Dennis, a small brown dog and media star cared for by Gozo SPCA and sponsored by British Expat Ltd.
Cuban children in Young Pioneer uniforms dance the conga between the legs of carnival characters on stilts.